The new Predator Orion 5000 Series gaming desktops feature up to 8th Gen Intel® Core™ i7+ 8700K processors paired with the latest Intel Z370 chipset1, up to 32 GB of Intel® Optane™ memory for fast load times and improved responsiveness, and up to 2-way NVIDIA® GeForce® GTX 1080 Ti GPUs in SLI1 so gamers can enjoy their favorite game titles at incredibly high screen resolutions, as well as premium VR experiences. The Predator Orion 5000’s chassis has a transparent side panel to show off its powerful internals and is EMI-compliant to protect users and peripherals from potential electromagnetic interference. Easy-open side panels allow users to quickly swap out components and cables during upgrades. The IceTunnel 2.0 airflow management design segments the system into different thermal zones and provides each sector with its own airflow tunnel to expel heat. A front mesh panel with dust filters allows the Predator Orion 5000 to inhale massive amounts of air while filtering out annoying dust. Additional features for core gamers include Killer LAN high-speed Ethernet, cradles for audio headsets, a carry-handle for portability and Acer’s signature Predator design for aggressive yet refined styling. With up to 8th Gen Intel Core i7+ processors, and up to NVIDIA GeForce GTX 1080 GPUs, the VR- ready Predator Orion 3000 supports 4K gameplay as gamers take aim at opponents on the battlefield with crystal clarity. 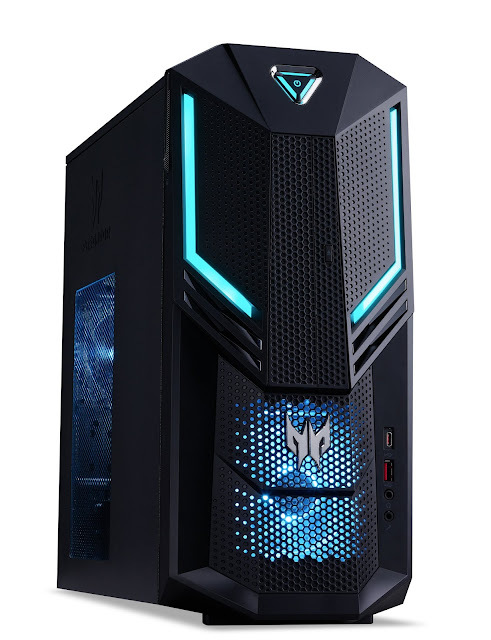 Like the 5000 series, the Predator Orion 3000 can be configured with up to 32 GB of Intel® Optane™ memory to increase responsiveness and load times, and up to 64 GB DDR4-2666 RAM to support lightning fast action while playing the latest titles. The Predator Orion 3000 Series features the same attractive design language as its bigger brother, with a transparent EMI-compliant side panel1, RGB lighting, sleek lines, blue accents and built-in headset cradles. Excellent heat dissipation is achieved with a front-facing intake LED fan, mesh cover and rear exhaust for optimized air flow throughout the chassis. 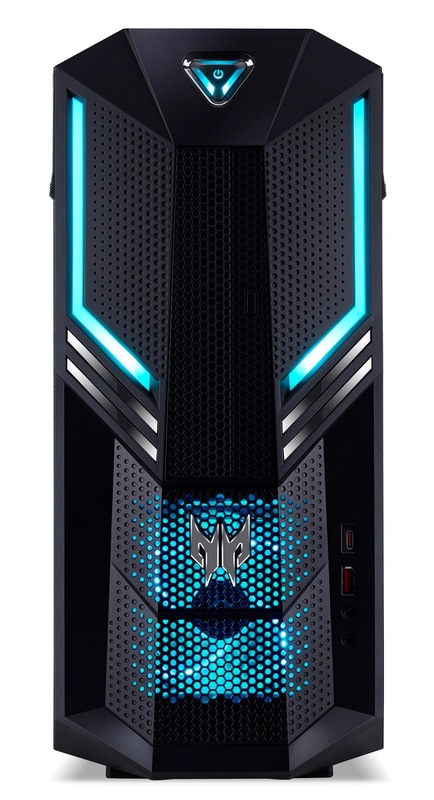 The Predator Orion 5000 gaming desktops will be available in North America in July starting at $1,499; in EMEA in June starting at €1,699, and in China in June starting at ¥15,999. The new Predator Orion 5000, Orion 3000, and Predator gadgets & accessories were unveiled today at the next@acer press event held in New York, where the company announced a range of new devices and solutions for gamers, creators, families, students and professionals. For more information, visit www.acer.com/nextatacer.